This buttery sauteed medley of corn, lima beans, red onion and red pepper finished off the heat with sweet grape tomatoes, a squeeze of fresh lemon juice and basil makes the perfect side dish for grilled chicken and fish. 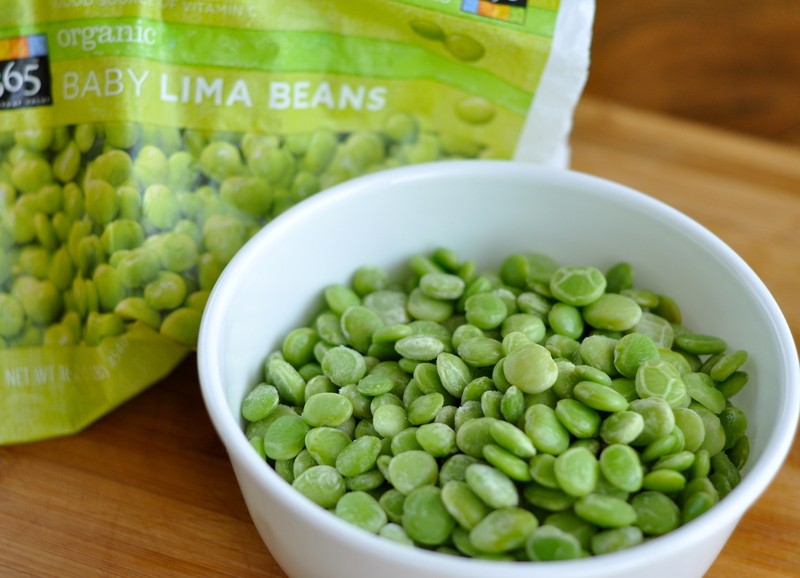 I often substitute edamane for the lima beans if I want to pack a bigger protein punch. I love the flavors meddling together and the colors are bright and vibrant. 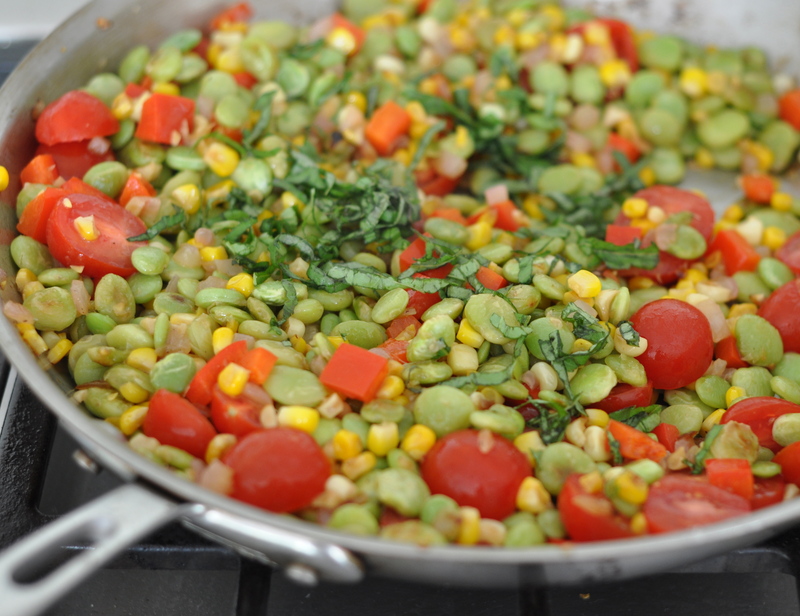 Succotash. Inherited from native American Indians! Try this! Fresh! Yummy! The dish is infinitely better if you use fresh corn just shucked off the cob! 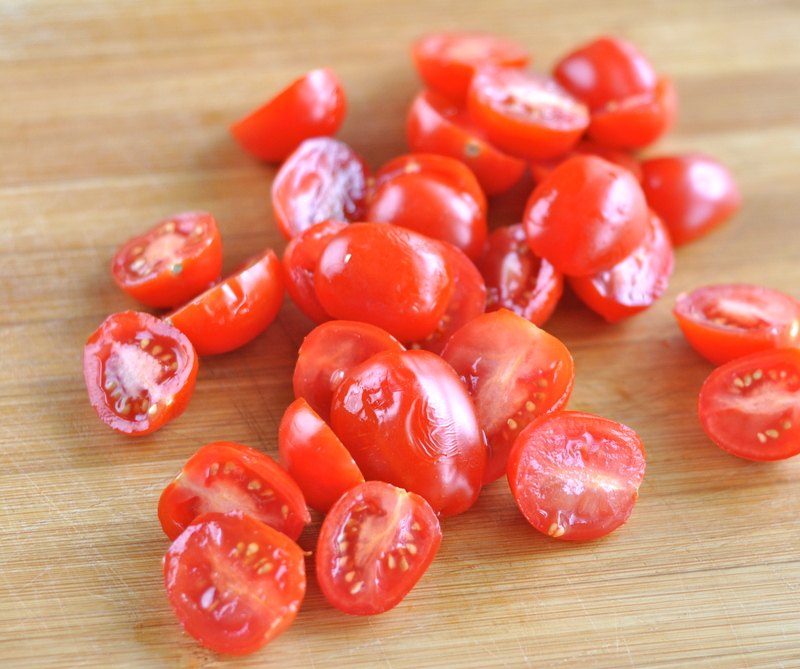 Grape tomatoes are ingenious and add an unexpected flavor burst in your mouth! The basil matches perfectly with the sweetness in the corn! Gets your kids to eat vegetables! Quick, easy! Love, love love this dish! 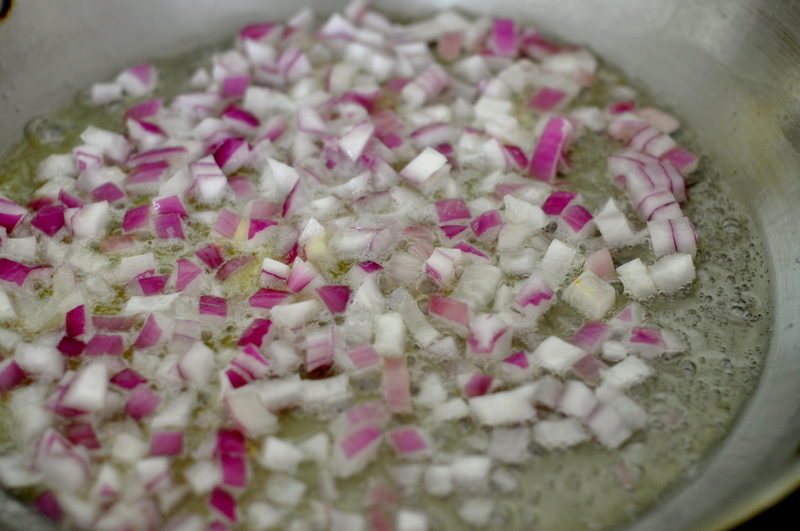 Melt the butter and olive oil together in a saute pan over medium-high heat. 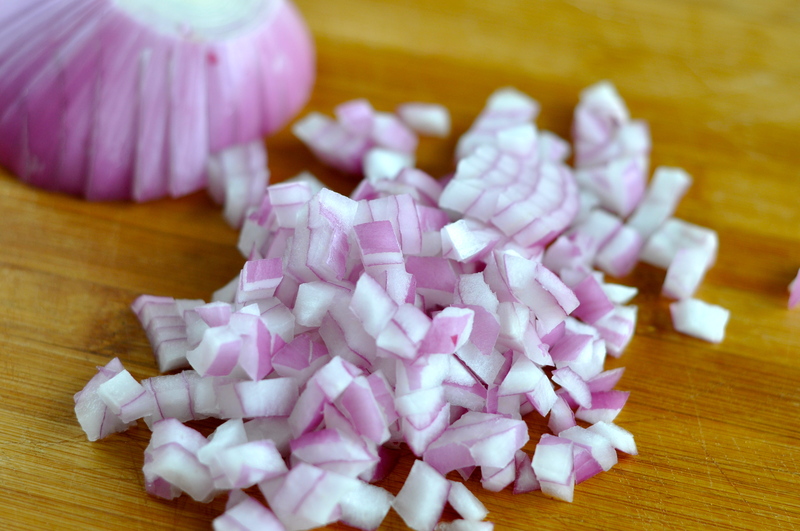 Add the diced red onion and cook for about 3 minutes, stirring occasionally. Lightly salt and pepper. 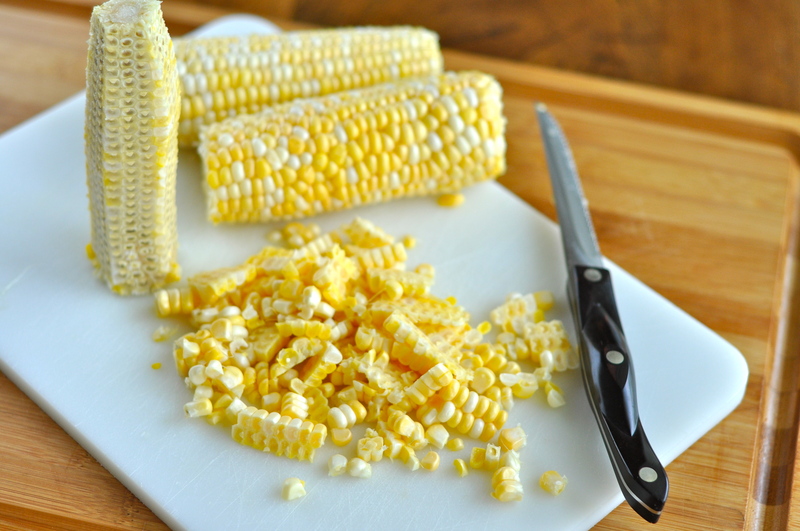 Cut the fresh shucked sweet corn off the cob with a serrated knife. 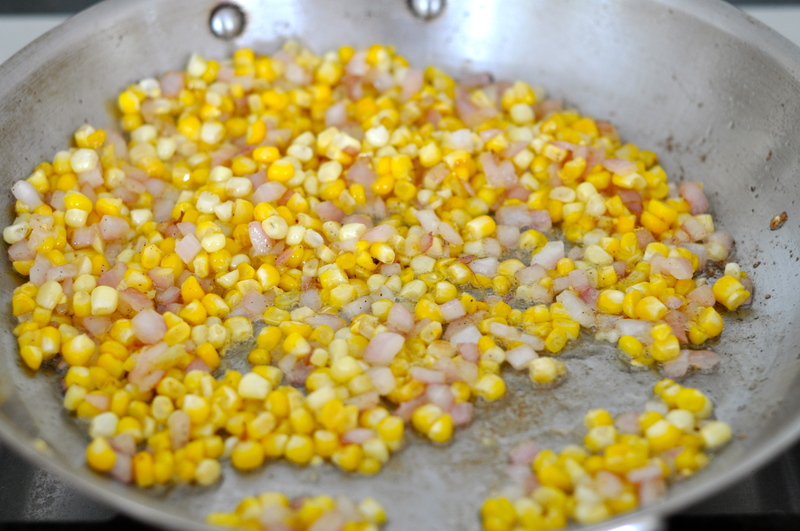 Add the corn to the onions and cook another three minutes. Some of the corn will get charred, which adds flavor. 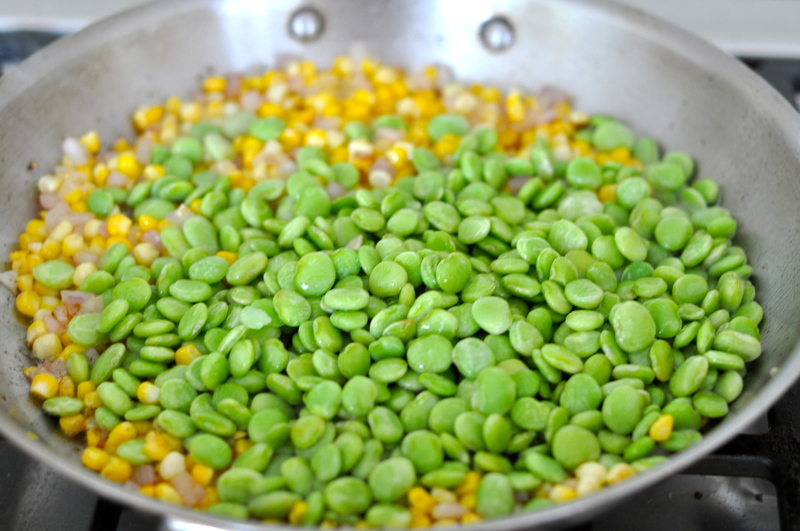 Add the thawed lima beans and cook another three minutes. Lightly salt and pepper again. 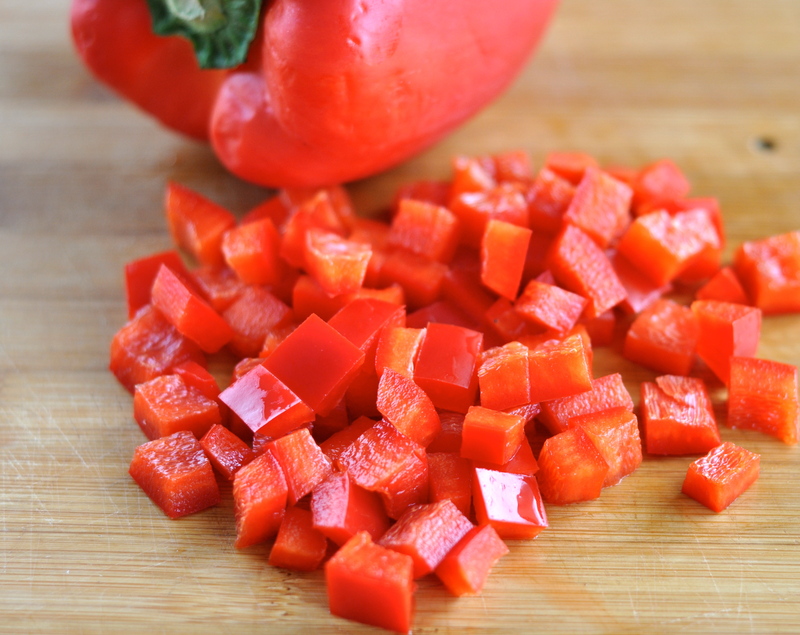 Add the diced red pepper and cook another minute. Take it off the heat. Add the grape tomatoes and basil. Salt and pepper to taste a final time. 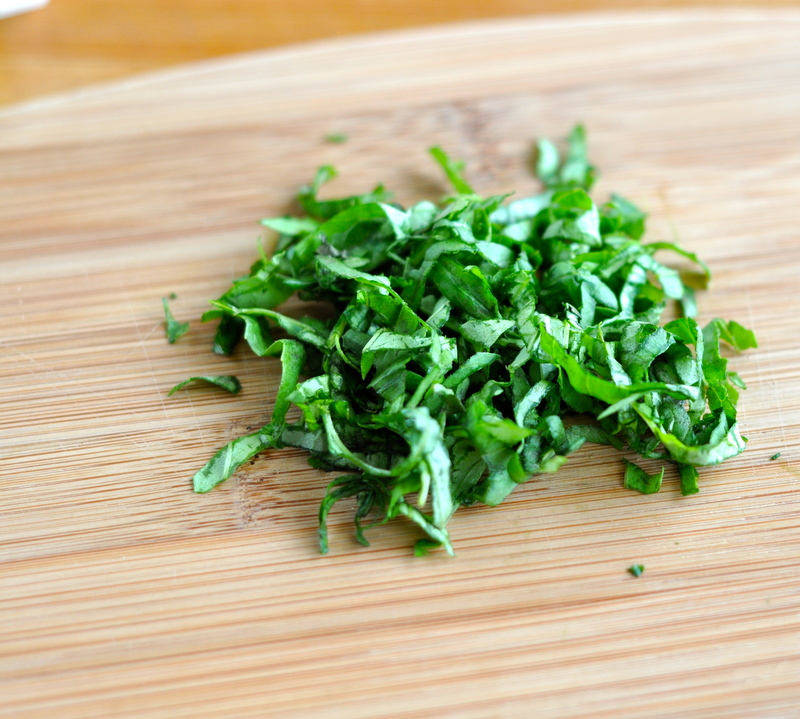 Finish off by squeezing fresh lemon juice over the dish. Serve immediately. Looks wonderful and like it would go with anything! Anything involving corn is a winner in my book. My Favorite Summer side-dish — fresh corn and tomatoes are the key!!! !